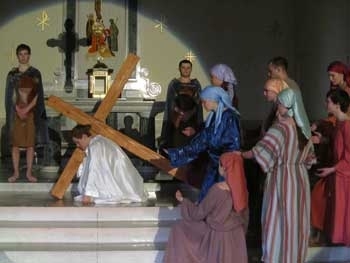 Once again, the Nativity Youth Group will present Living Stations of the Cross on Good Friday, March 25, at 7:30PM in the house of the church. The tableaus, with music and accompanied by traditional and contemporary interpretations of the Stations of the Cross, are a wonderful opportunity to conclude your Good Friday experience. Please join us for the presentation.